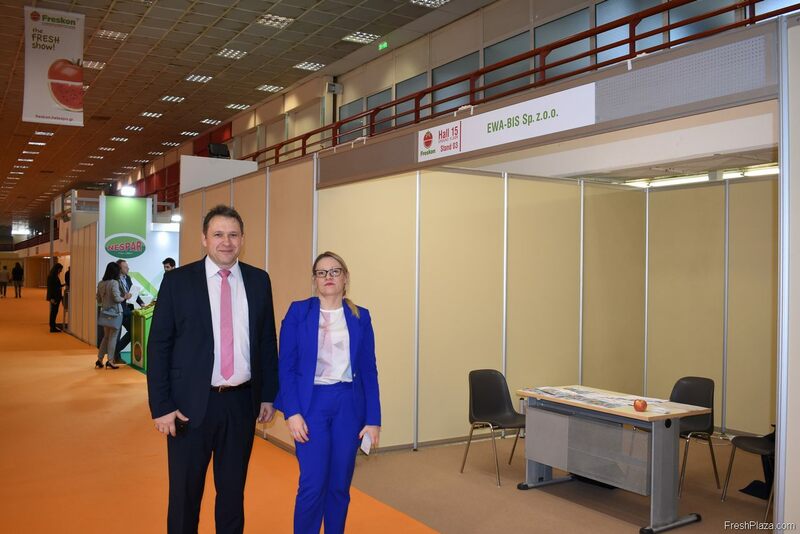 Monika Pluta and Piotr Porosa from Ewa-Bis, this is the first time the Polish apple exporter is attending Freskon, mostly to meet their clients. 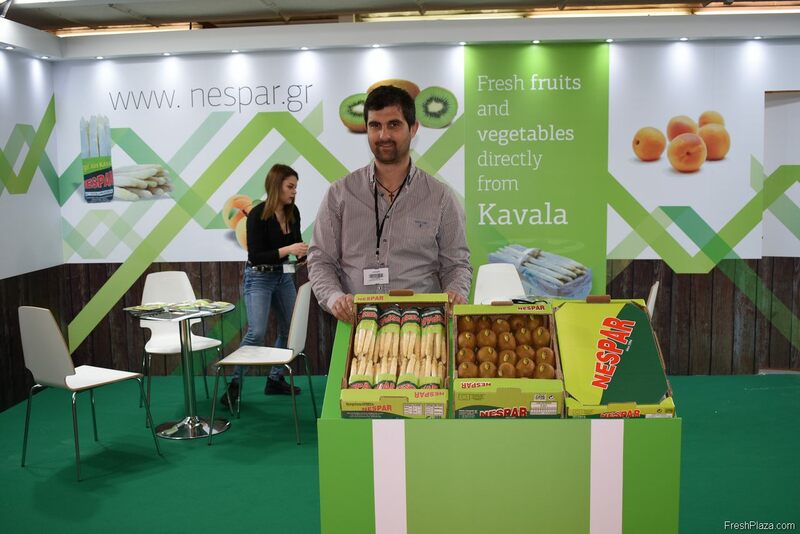 Konstantinos Maragkozis is the agronomist for Nespar, they mostly deal in aspargus and kiwis. 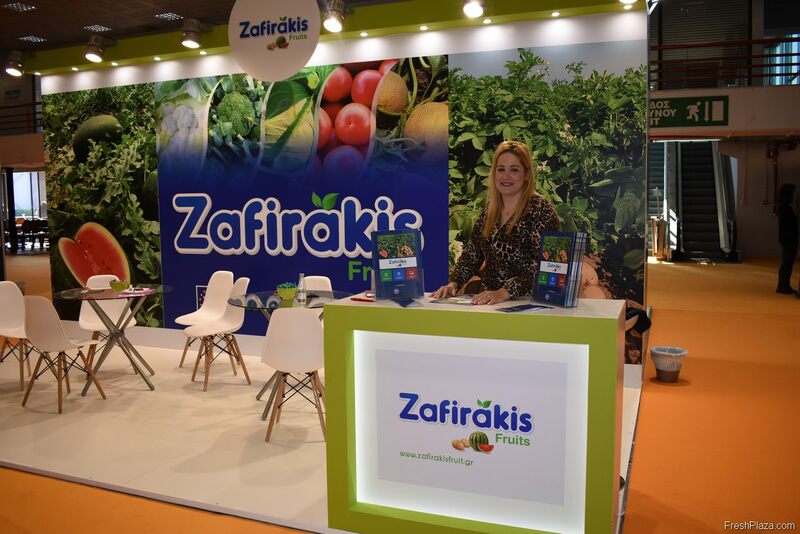 Valentina Christopoulos, the hostess for Zafirakis., They export watermelons, tomatoes, broccoli and potatoes amongst other fruits. The team of ACN Naoussa. 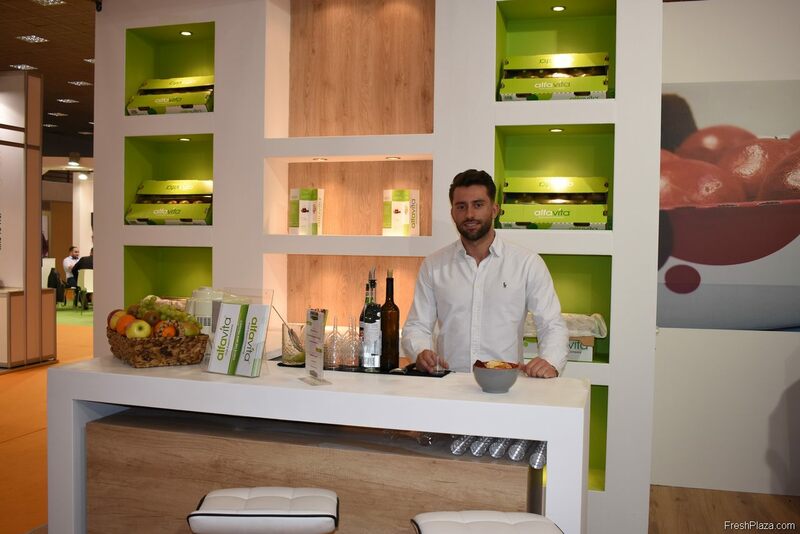 At the Alfa Vita stand, the barman made sure everyone was able to get some needed refreshments. The company deals mostly in kiwis. 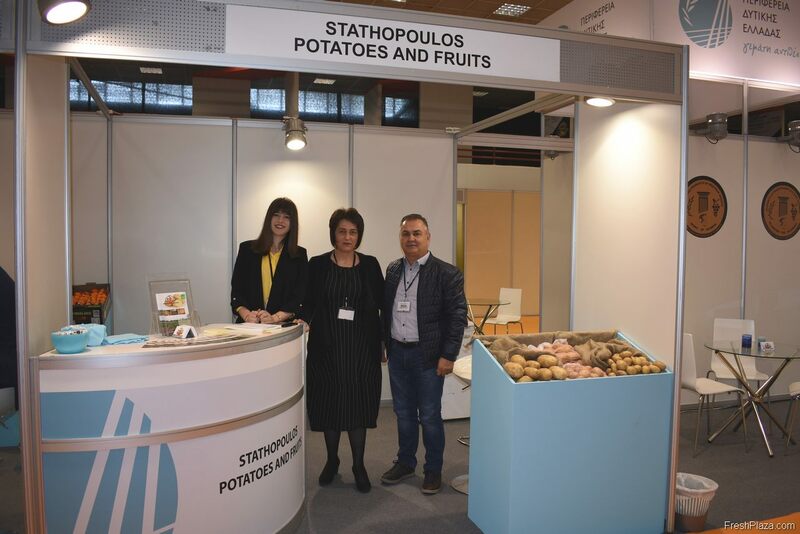 Georgia Arampou, Dimitra Thanasoula and Ilias Stathopoulos were displaying their potatoes during Freskon, but also export produce like watermelons. Their company is named after their founder, Ilias Stathopoulos. Levent Sadik Ahmet is the CEO of Yaka. 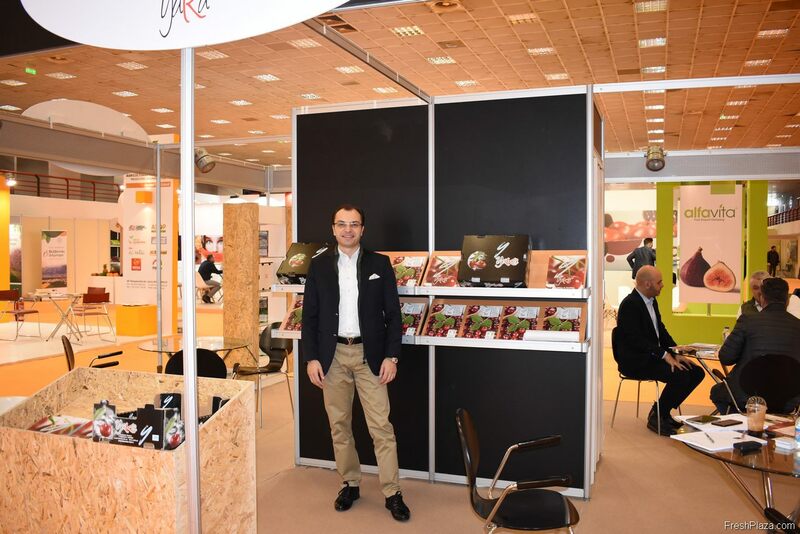 They are a cherry packaging company that are attending Freskon for the first time. 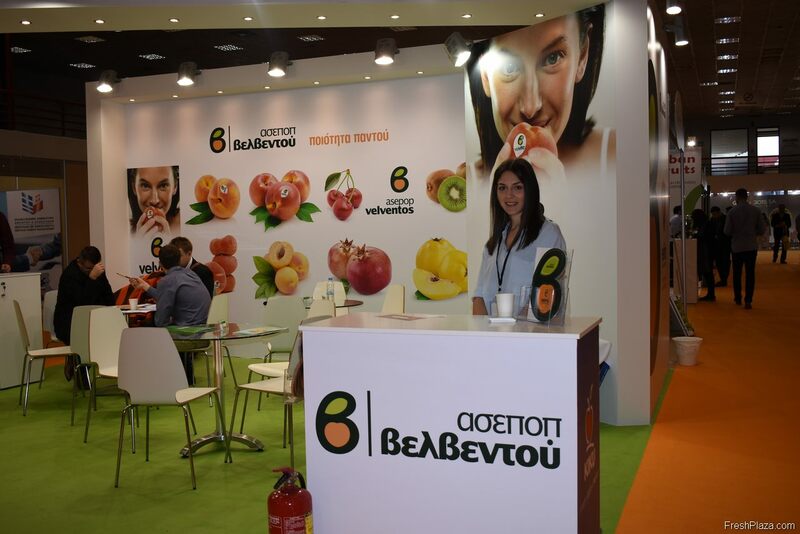 The hostess for Asepop Velventos, a company that mainly exports peaches, kiwis, nectarines and apples. 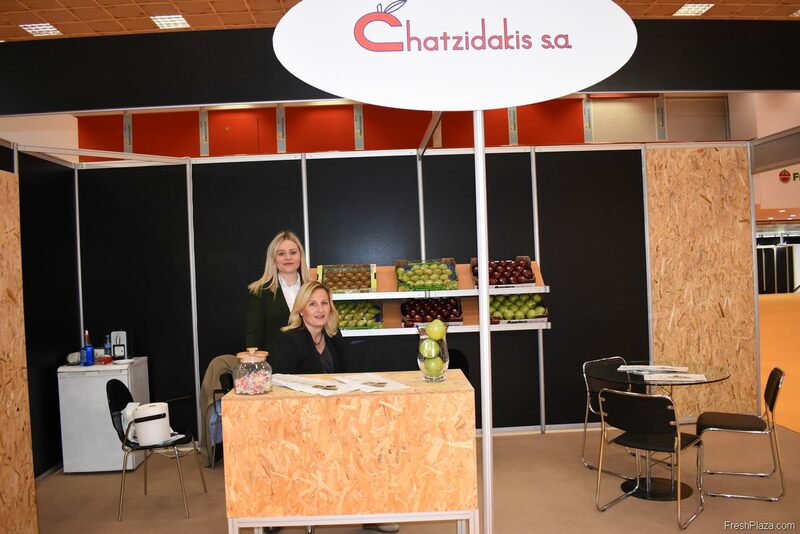 Anastasia Chatzidaki of Chatzidakis S.A.. Their primary export product is apples. 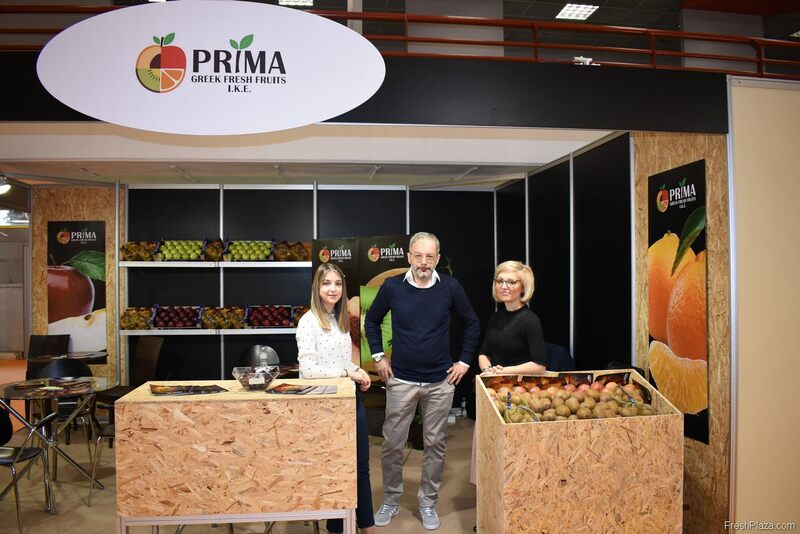 Noppie Nikolaidou and two of his employees for the company Prima Greek Fresh Fruits. They deal in apples, oranges and kiwis. 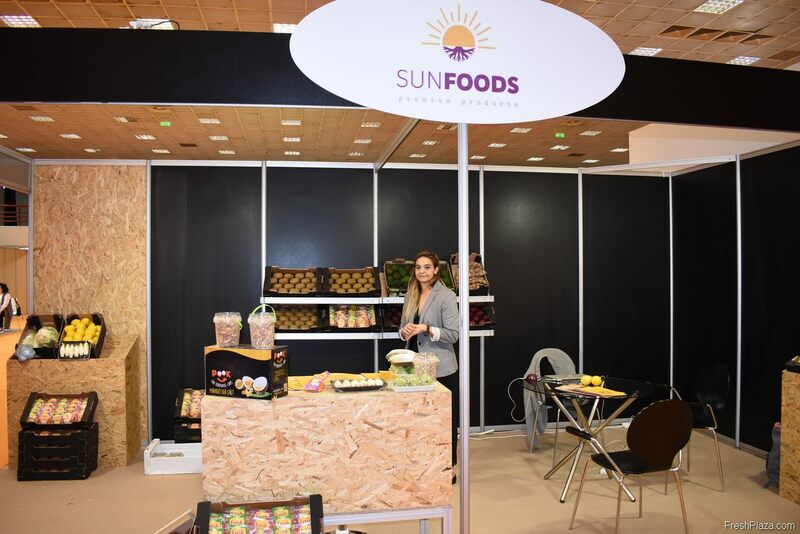 Irene Grigorea is the Sales Manager for Sunfoods. They export peaches, apples, nectarines and kiwi. These products are mainly sent to the Balkans and Italy. They hope to reach new markets by attending Freskon. 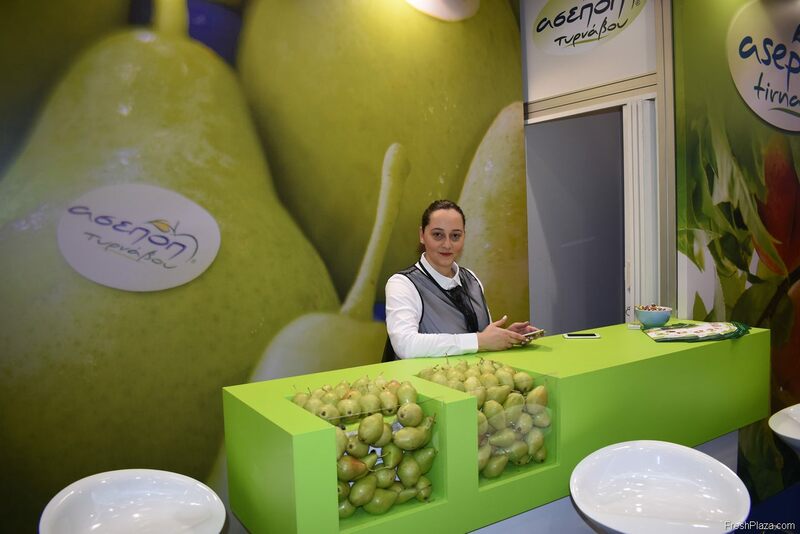 The hostess for Asepop Tirnavos, who export pears all over Europe. 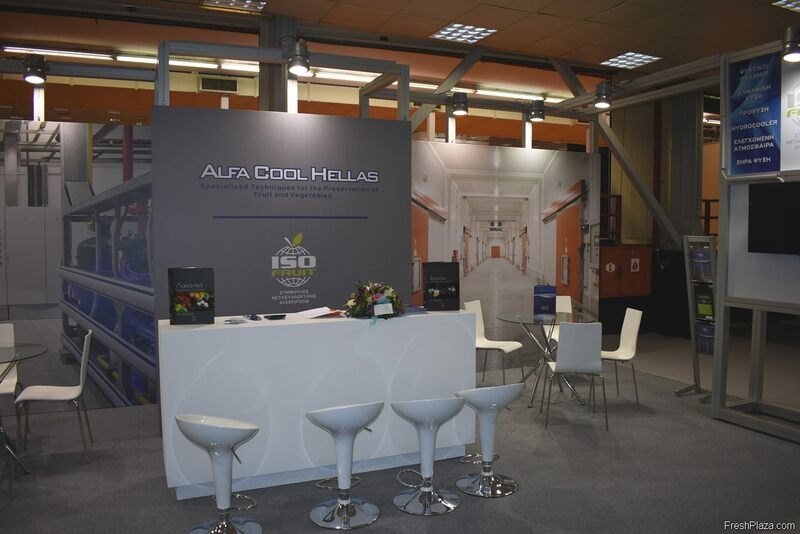 Alfa Cool Hellas' stand. 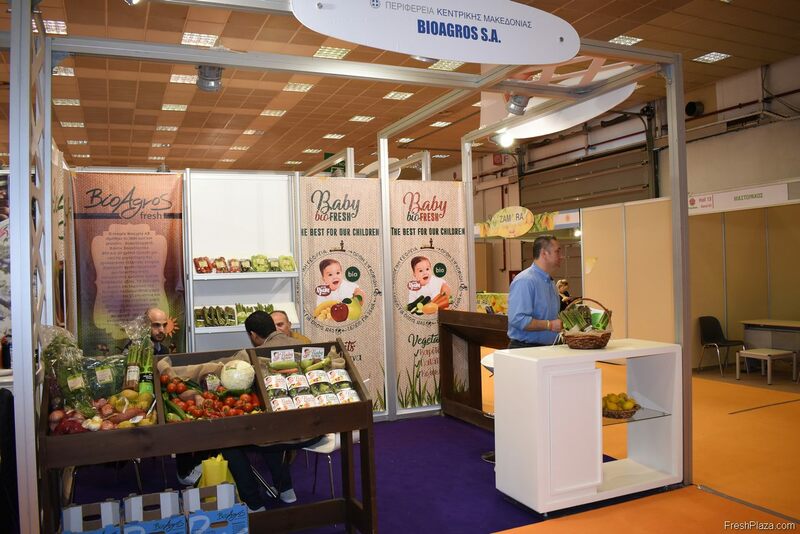 They make machinery that helps with preservation of fruit and vegetables. 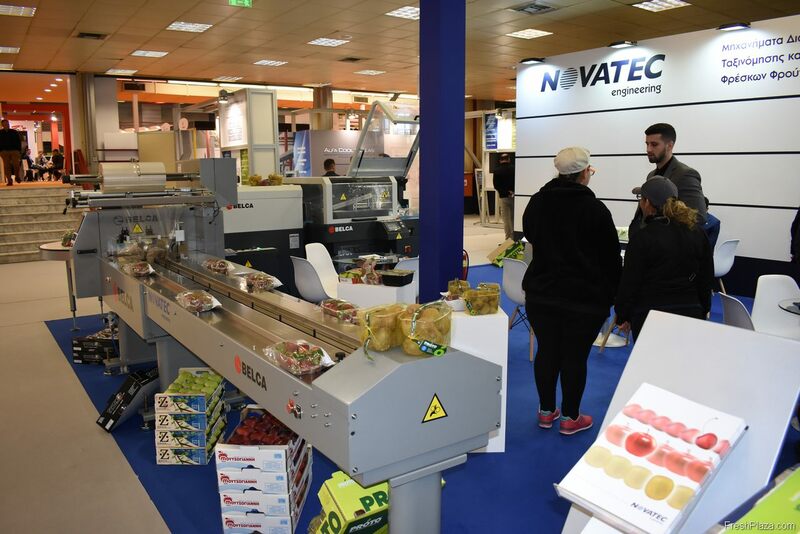 Novatec's stand, they showed off their machinery that wraps the produce in plastic. 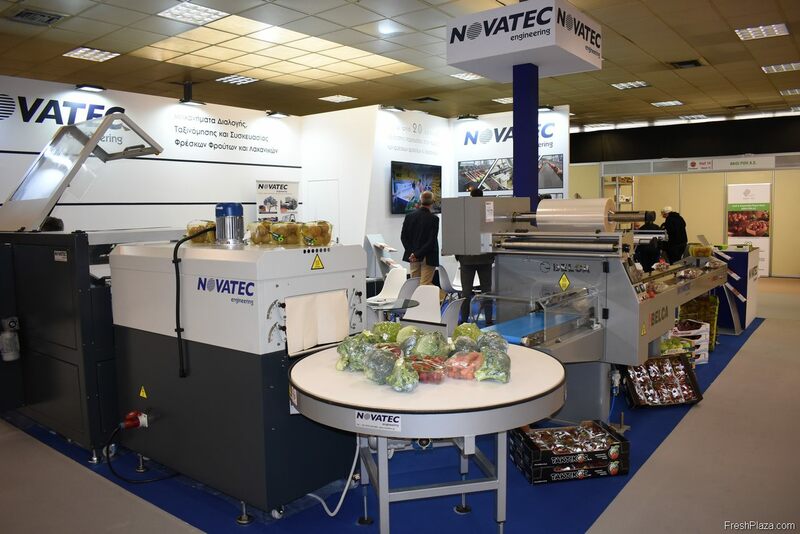 The Novatec machinery could be used to wrap all kinds of vegetables and fruits. 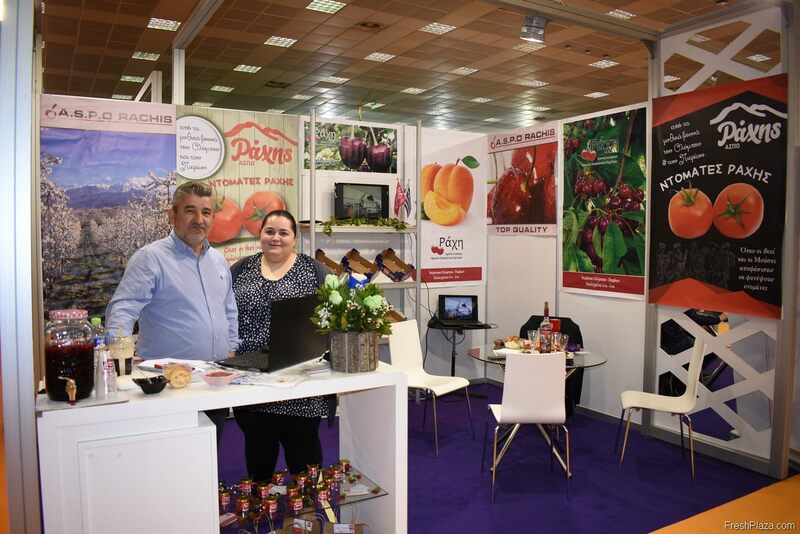 A.S.P.O Rachis attended Freskon to showcase their cherries and tomatoes. Giorgios Nasiakopoulos and Christostoulou Hlias for Artion. They deal exclusively in chestnuts. 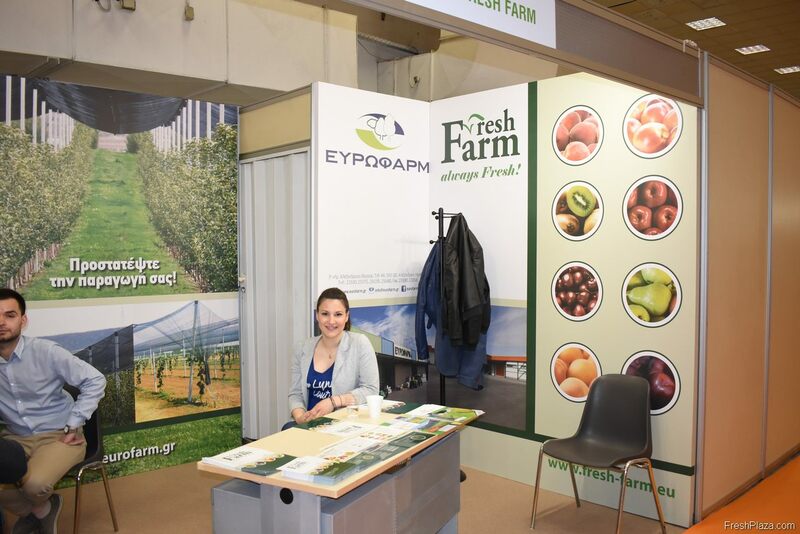 The stand for the Fresh Farms group. They export kiwis, pears, apples, cherries and peaches. 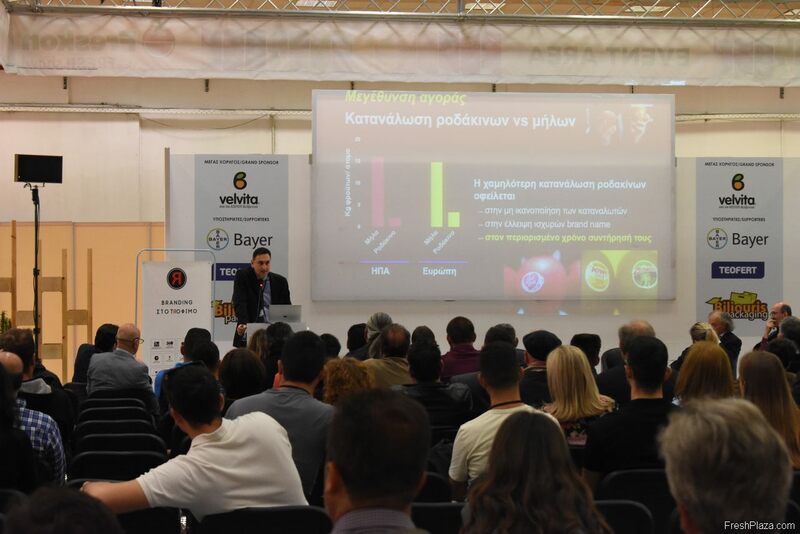 One of the speakers during the International Peach Congress. 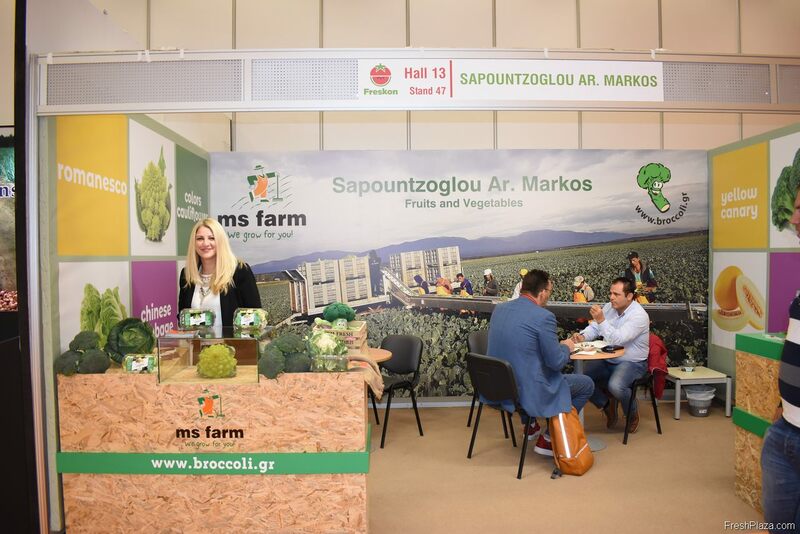 The hostess of the Sapountzoglou Markos stand. They are specialized in broccoli. The stand of Tsakiris. 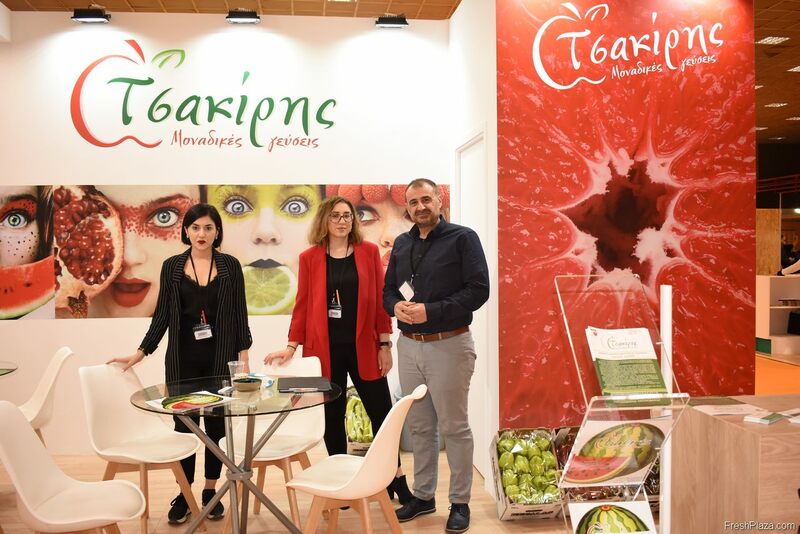 On the right is Tsakiris Iraklis, with two employees. They cultivate a variety of fruits and vegetables like strawberries, watermelons and carrots amongst many others. 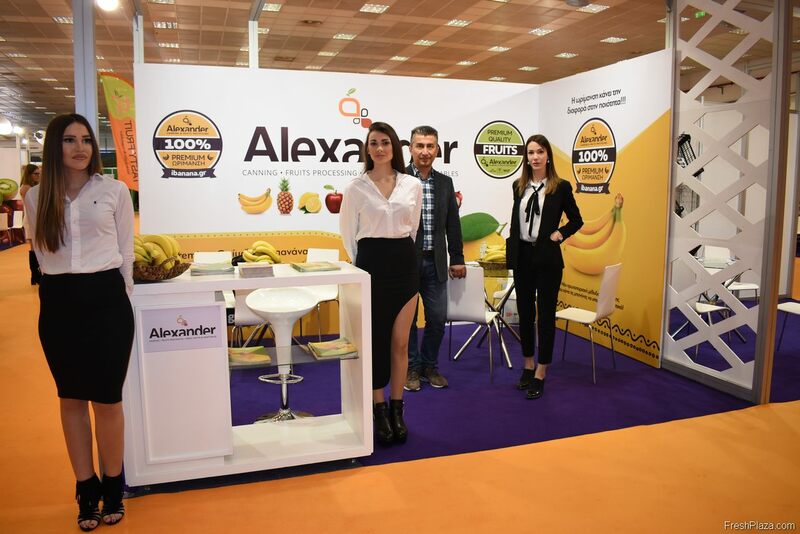 The team of banana importer Alexander. 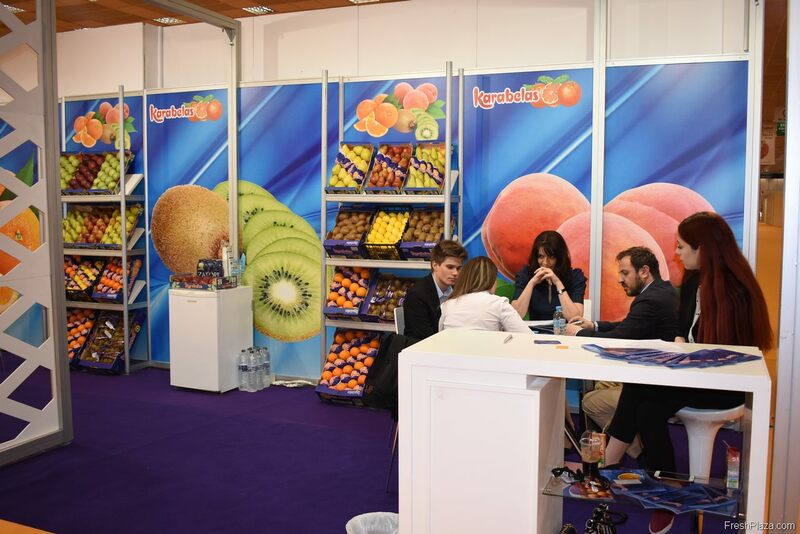 They also deal in canned and other processed fruits. 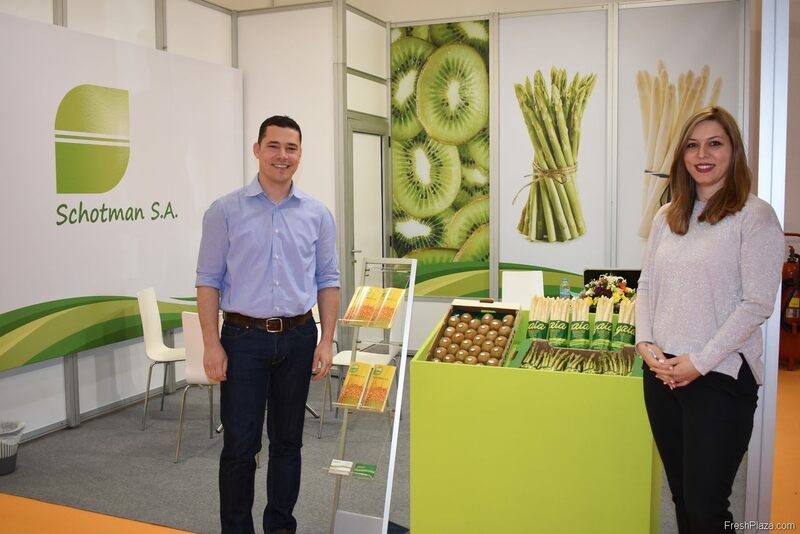 Aris Schotman and his wife Elena, they displayed the aspargus and kiwis of Schotman S.A.. They export the kiwis all over Europe, while the aspargus mostly find their way into Germany. Panagiotis Antonakis of Greek Onions. As the company name suggests, they are specialized in onions. A few Dutch traders happened to show up at the stand just after this picture was taken. 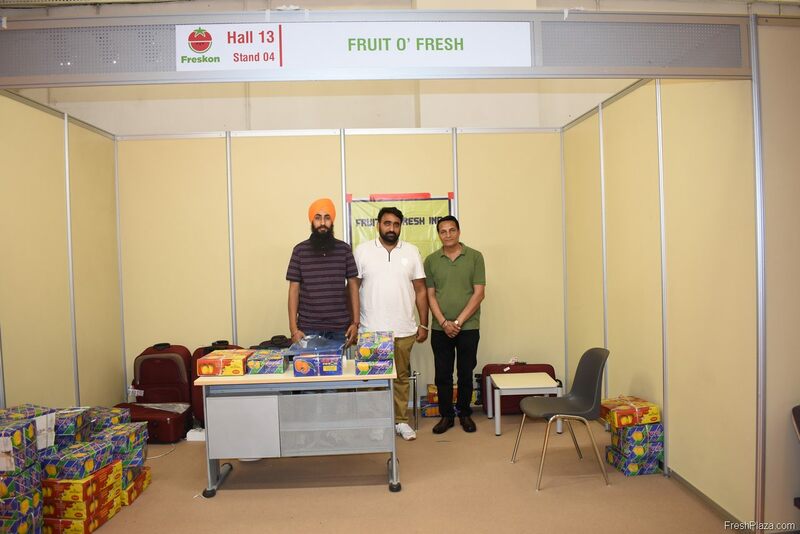 The team of Fruit o'Fresh Inc. On the far right is Sales Executive Dilraj Singh. They export apples, grapes and nectarines from India. 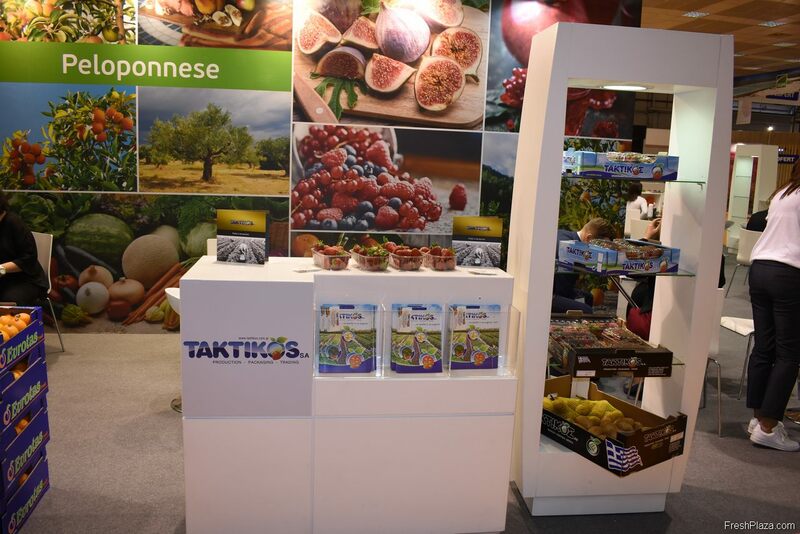 The stand of Taktikos, specialized in strawberries from Greece, although they also export a variety of other fruits. 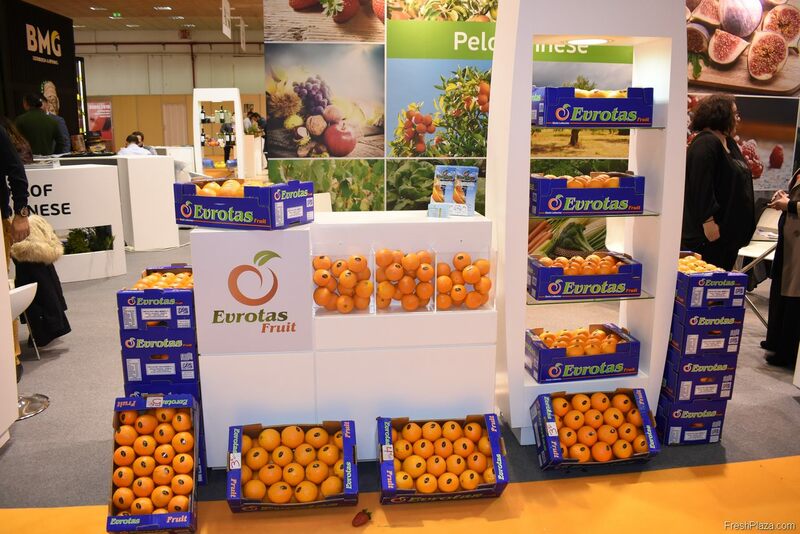 The stand of Eurotas Fruit. They deal in oranges and other citrus. 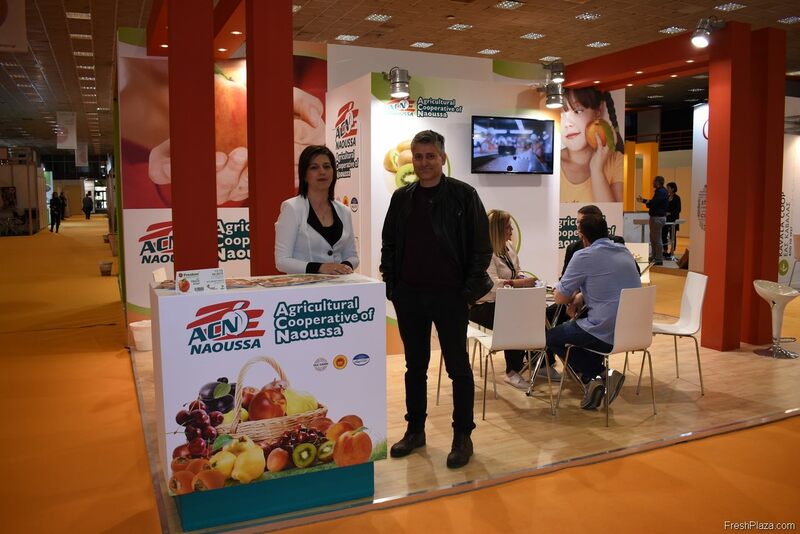 Eleni Konstantinou, who was just welcoming a new guest to their stand. 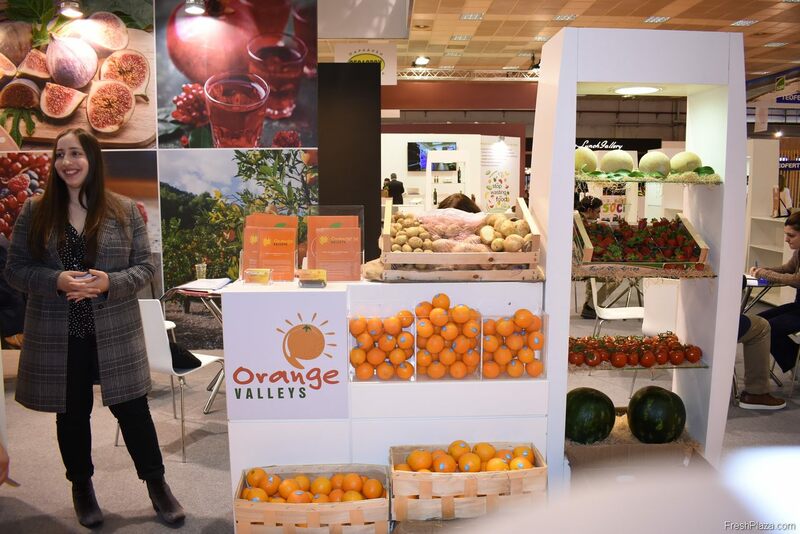 She is the Managing Director of Orange Valleys, a company that as their name suggests, exports oranges from Greece. 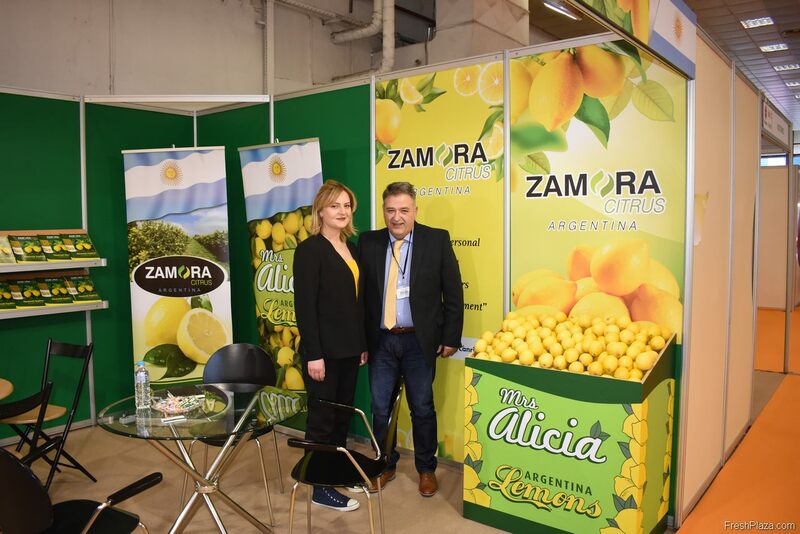 Koukoulis Athanasios and the hostess for the company Zamara from Argentina. They export lemons and were meeting existing clients at Freskon. 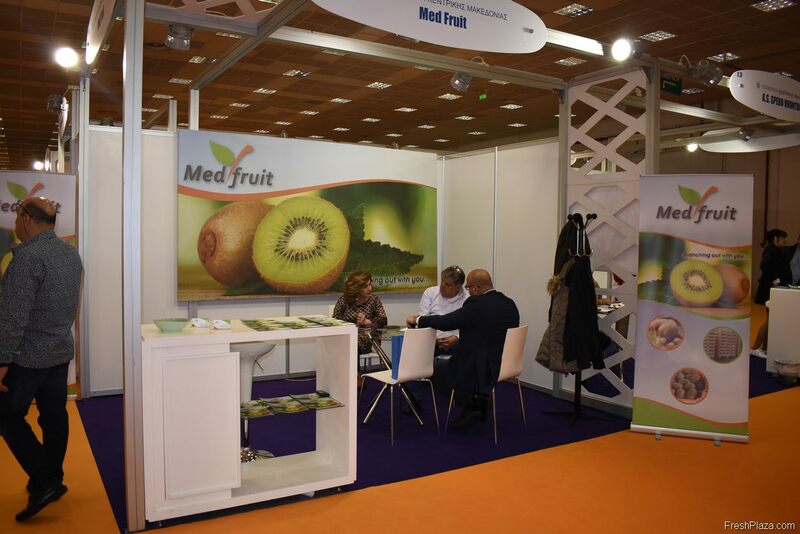 The team of Medfruit in the middle of a business meeting. 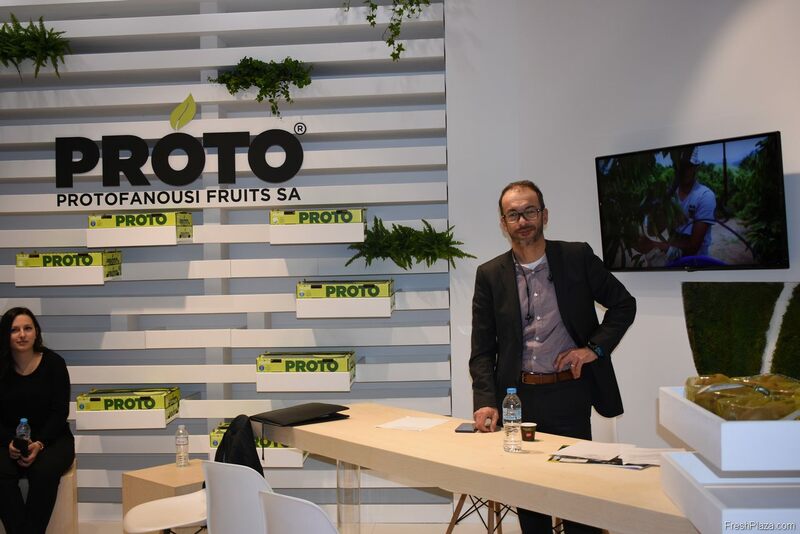 They deal in kiwifruit and export to Egypt, France, Holland, the United Kingdom and a few other countries in Eastern Europe. 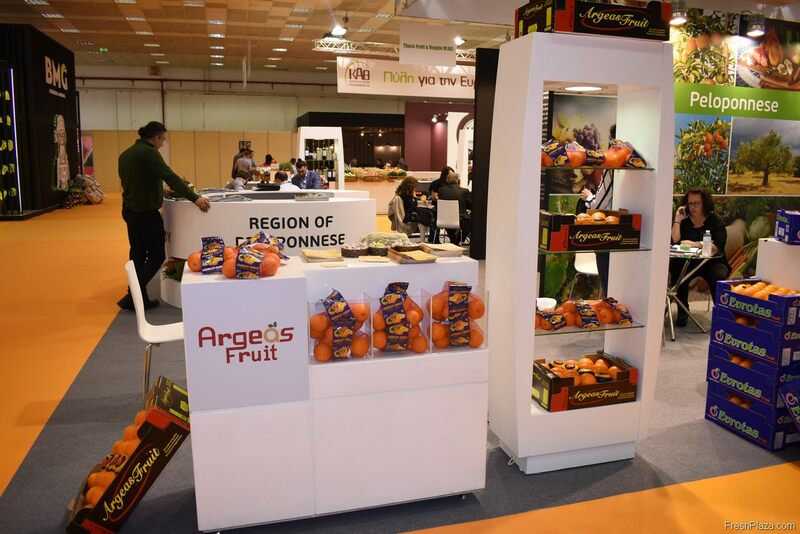 The stand of Argeas Fruit. 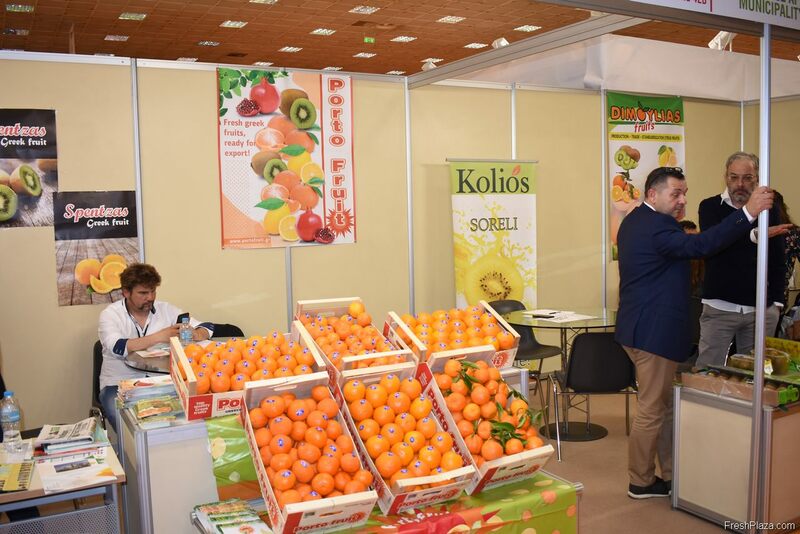 They are specialized in oranges and export to Germany, the UK, Norway, Sweden and quite a few Eastern European countries. 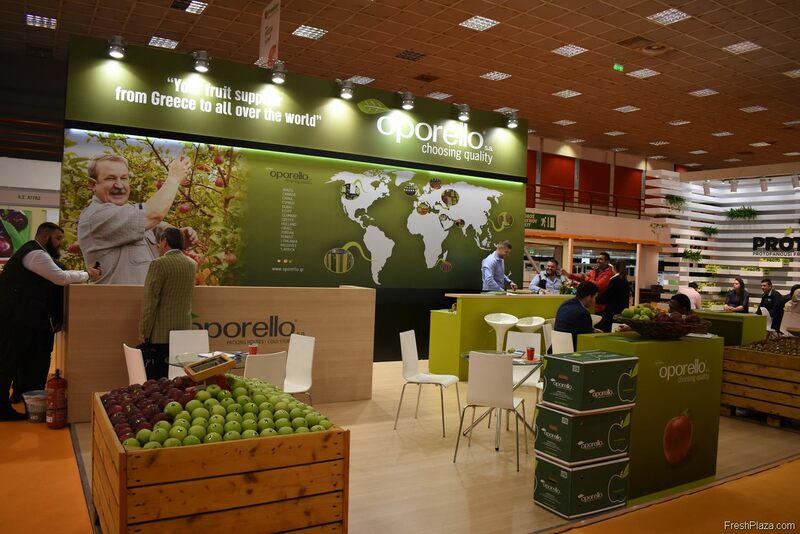 The stand of Oporello, who export Greek apples. A recently new found market for these apples is India. Christos of Mitrosilis. They are known for their kiwis, but also cultivate different kinds of citrus. 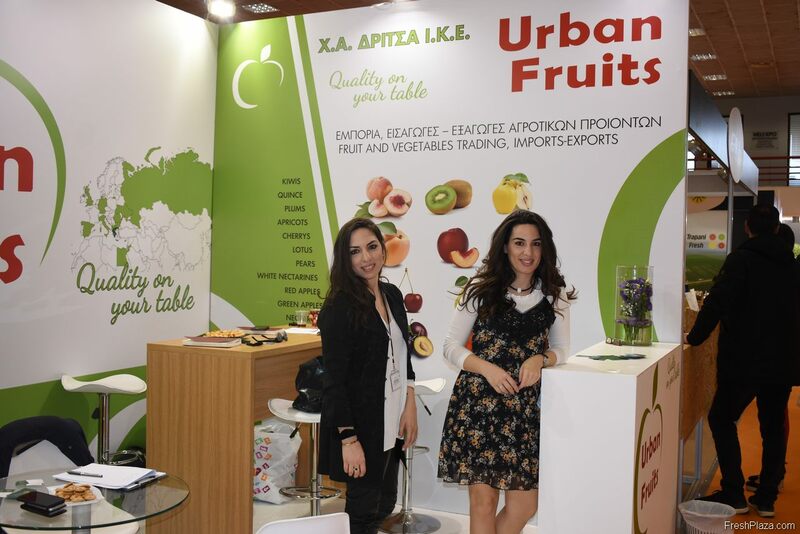 The sisters Angela and Christina Dritsa, representing their family company Urban Fruits. They deal in kiwis, peaches, nectarines, cherries and many other fruits. 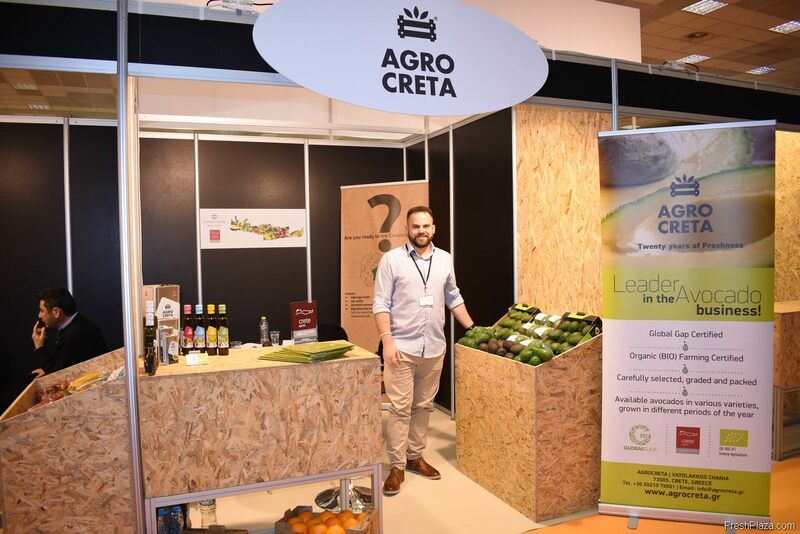 Antonis Kokkalakis, the owner of the company Agro Creta. Their main product is avocados, but they also deal in other fruits, like oranges and kiwis. Tsimplidis Nikolaos of Golden Gaia. 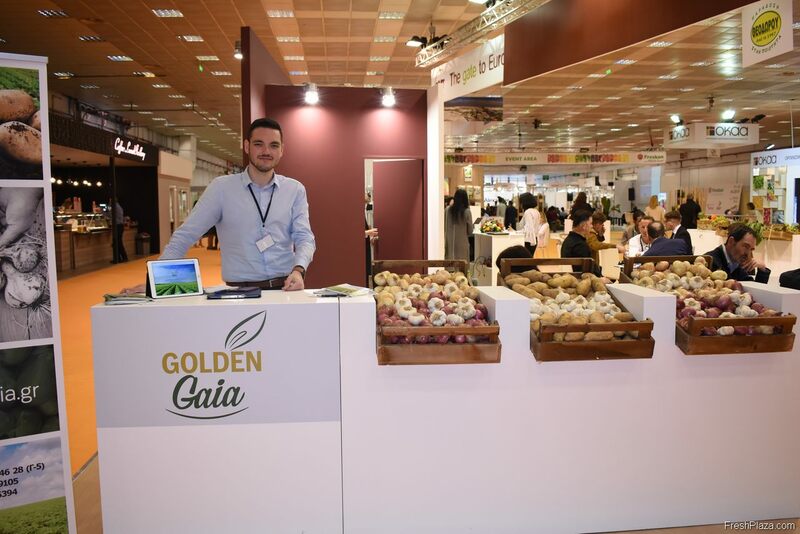 They export garlic and potatoes from the town of Thessaloniki. Georgios Stergios, manager of A.C. Pella. 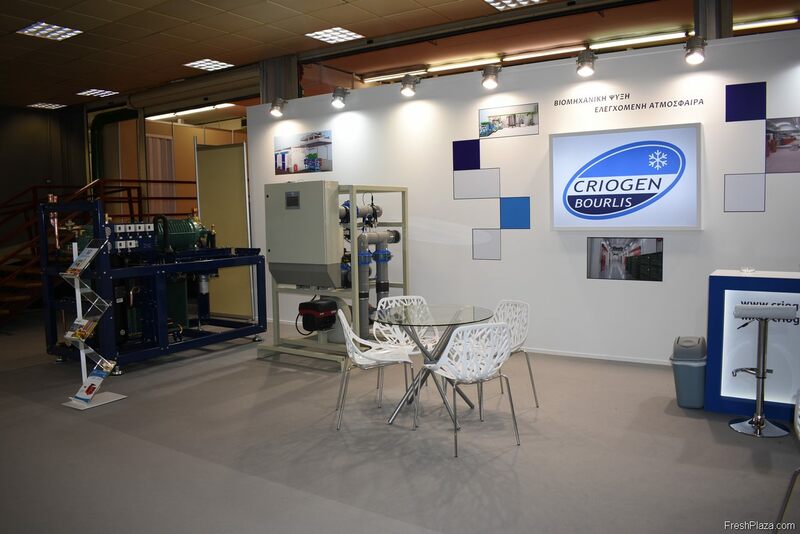 The stand of Criogen Bourlis, who deal in cooling solutions. 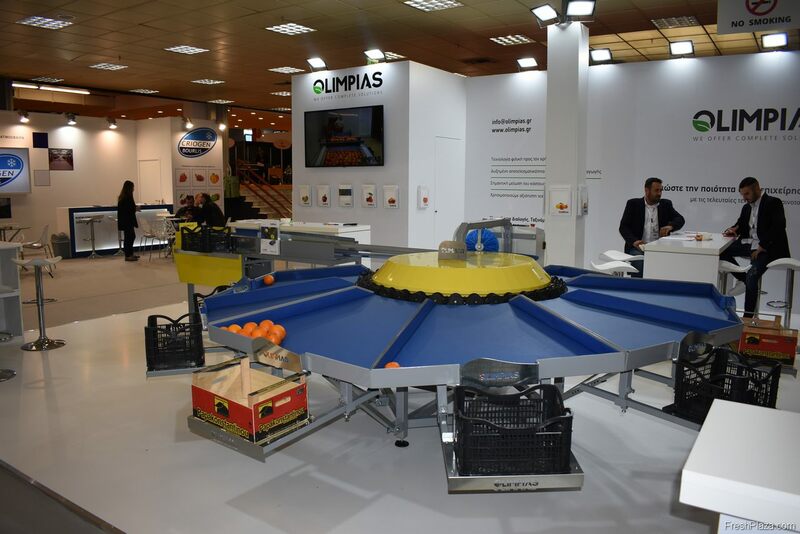 The sorting machine presented by Olimpias. 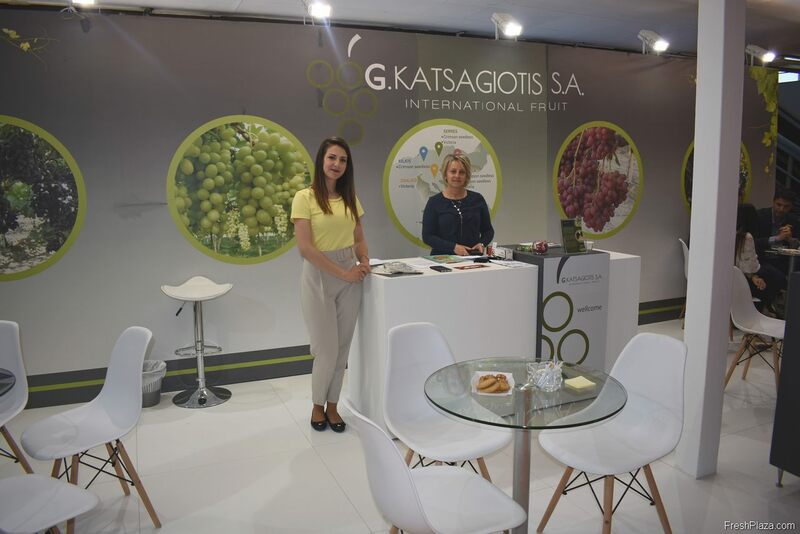 The stand of Katsagiotis S.A. They export grapes from Greece. Konstantinos Nikolitsas in a meeting with a client. 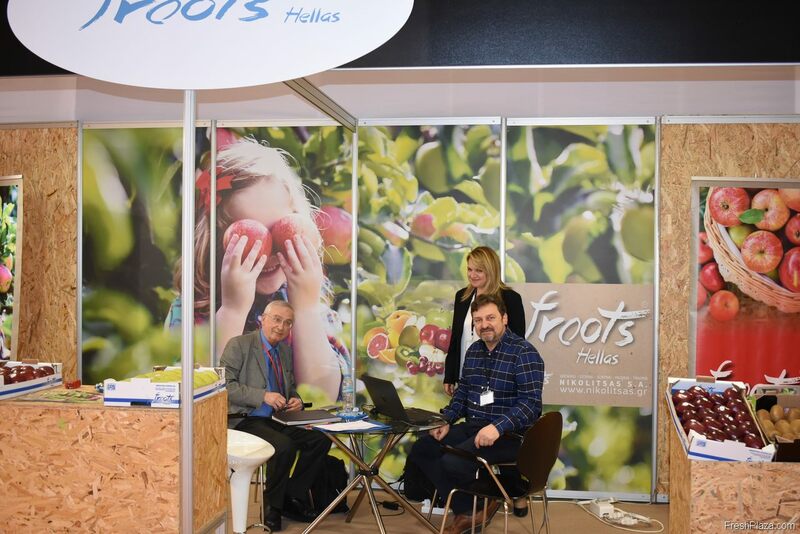 His company, Froots Hellas, deal in a variety of fruits like apples, kiwi and citrus. 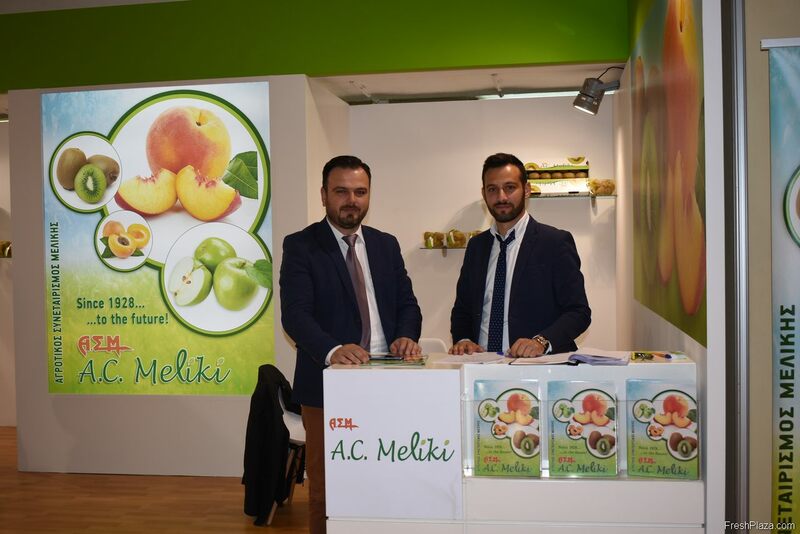 The team of A.C. Meliki. 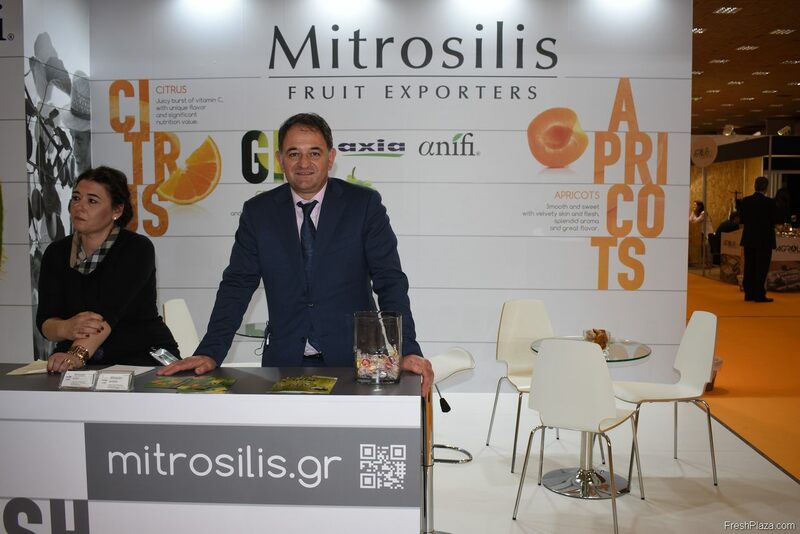 On the left is Tegousis Giorgos with his sales manager on the right. George Kallitsis from Proto. They export kiwis and grapes from Greece. 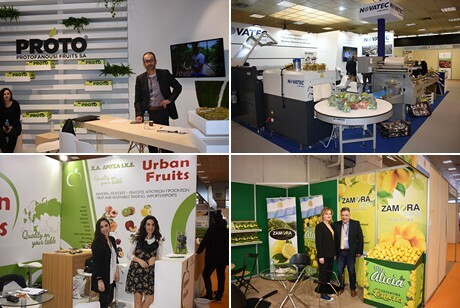 A multi stand for the companies Kolios, Porto Fruits and Spentzas. 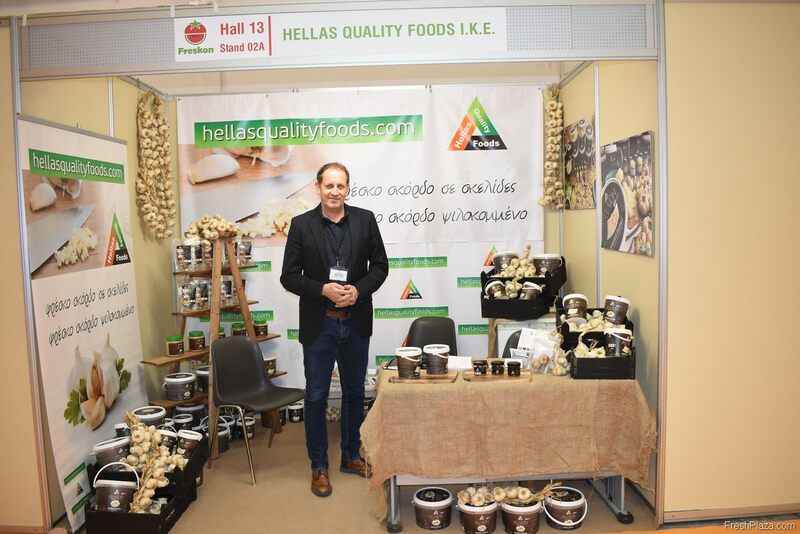 Christos Gkonias for Hellas Quality Foods. They deal in fresh garlic products. The team of BioAgros S.A., in a meeting with a client. 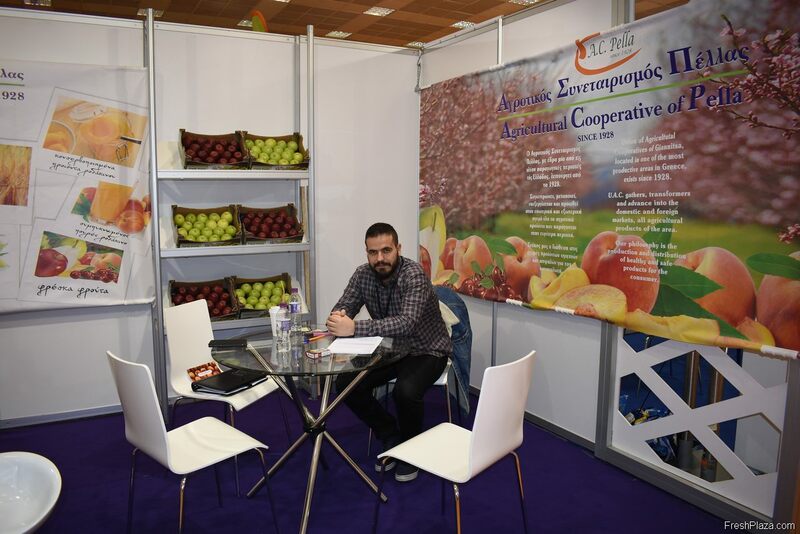 The stand of Karabelas where Konstantinos Karabelas is in a meeting with his clients. 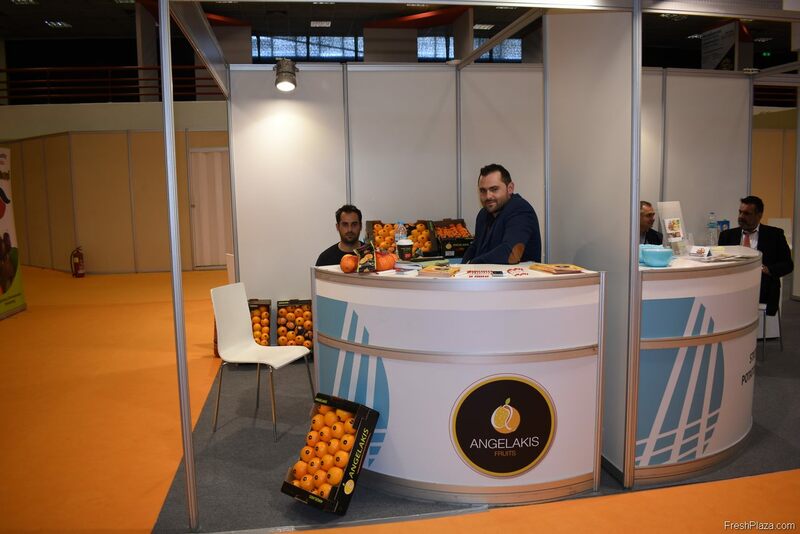 Angelakis Angelos is showcasing the citrus exported by his company Angelakis Fruits. 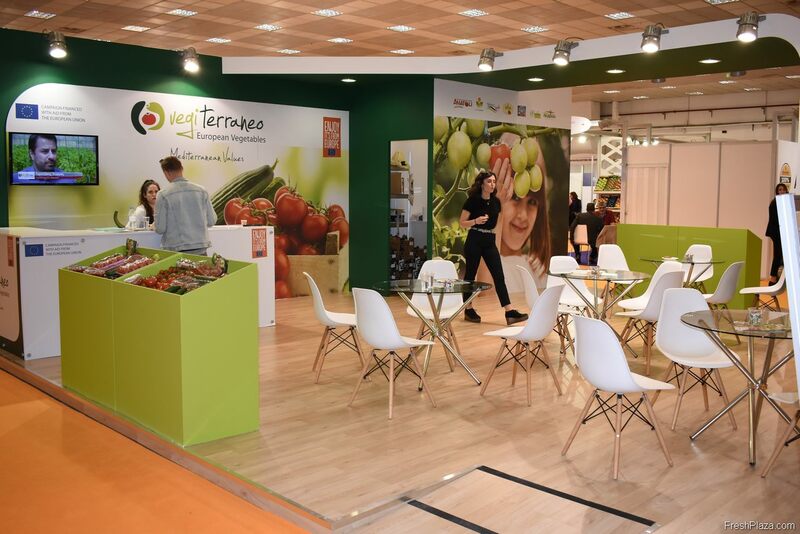 The stand of VegiTerraneo. They export a variety of Greek vegetables, like tomatoes and cucumbers.